Integral Coaching Canada offers a coaching training program that delivers on the long held promise of the coaching field: to enable deep and lasting change in your clients. Much more than a certificate. Imagine a coaching training program that combines the world’s most comprehensive map of human development, the structure and discipline of a martial arts lineage, the inclusion and transcendence of a student's knowledge and intuitive capacities, and a proven track record for delivering lasting change – all within a space of deep care and uncompromising standards. Effectively guide your clients to radically healthier, productive and satisfying lives with our Integral Coaching® method, based on the most comprehensive map of human development available. In addition to learning our Integral Coaching® method, our rigorous live training and curriculum equips you with the embodied skills and capacities you need to build a successful coaching practice or venture. With strict adherence to a proven, research-based change methodology, and devoted service to human potentials, we lovingly invite and challenge each student as a precious part of our lineage. Some coaching schools say, "We're just like ICC," but they're not. Some have tried to mimic our Integral approach to change, but they're not rooted in embodied developmental models. We're experts in enabling Embodied Change. Don't settle for less. We offer the only Integral Coaching® training program that surpasses Masters Level Training Requirements of the International Coach Federation (ICF). Training hours matter for embodiment and mastery. You receive 202 training hours to meet ICF's Masters Level Training Requirements. Our program is competitively priced per training hour and your certification comes with more hours under your belt. Masters Level Hours. Our class sizes range from 18 - 24 students. This size optimizes "high touch" learning and practice necessary for embodied certification. We teach in Canada, the United States, Europe, South America, Australia, and South Africa. Upon graduation, you will join our global Integral Coaching® Consortium. Our graduates support current students through Study Group Mentoring. 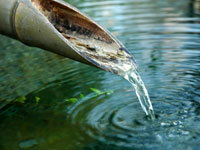 It is part of joining a lineage school - a loving and rigorous community of practitioners. An East meets West lineage. There are many ways of knowing. At Integral Coaching Canada we train our coaches to not just “know about” but to intimately “know as” — deeply integrating knowledge, making it come alive, making it present and real. This is embodiment. With the developmental rigour of a martial arts model, our work calls to coaches, consultants, and leaders who want to drop deeply into their lives and the lives of their clients. To those who do not just want to “do unto others” with their coaching, but who want to develop "self-as-instrument" profoundly exploring their way of living, perceptions of self and others, and related shadows, so they can authentically develop enhanced capacities to serve others. Leave clients with their wisdom, not yours. The Integral Coaching® method, in combination with the power of our Coach Training method, gives you a way of experiencing the world, including your own development as a coach, your clients’ struggles and successes, and the specific muscles needed to bring about lasting change with startling clarity. Using a comprehensive set of Integral models, you will obtain a multi-perspectival (AQAL) view and understanding of your client that enables you to see the world through their eyes and develop a way of working with the client that expands both their worldview and skills to live in this broader view. 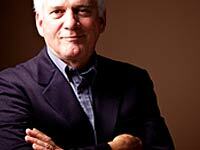 These skills give your clients far more lasting value than the relatively short-lived benefit of coaching conversations with a thinking partner. Our Integral Coaching® method, in part, draws upon a powerful Integral framework called AQAL (short for All Quadrants, All Levels, All Lines, All States, All Types) originally proposed by Ken Wilber. Our all-inclusive model of human development has become one of the foremost approaches to embodied change and coaching. Sound complicated? Actually, it isn't. It's truly elegant. Human beings are complex and an embodied Integral understanding enables our coaches to meet each client fully, developing client capacities with remarkable speed and accuracy. We are the only coach training school recognized by the Integral Institute and Ken Wilber as authoritative in the application of embodied Integral development. Potent. Life-changing. Integral Coaching Canada's flagship coach training program, the Integral Coaching® Certification Program (ICCP) is fully accredited by the International Coach Federation (ICF). It is the only ICF accredited Integral Coaching® training program that meets and surpasses Masters Level ICF training requirements. 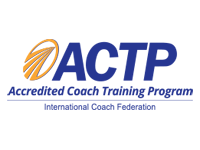 Our ICCP is an ICF Accredited Coach Training Program (ACTP). Integral Coaching Canada's two founders are each certified by the ICF as Master Certified Coaches. 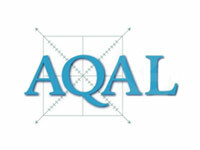 AQAL accolades. ICF accreditation. A powerful combination.